Elpress develops, manufactures and markets complete cable crimping systems for electrical connectors and E-Tech are proud to be their UK Distributor. The range of Elpress Crimp Terminals in the system consist of Copper Tube Lugs, Copper Tube Terminals, Copper Tube Splices, Narrow Palm Terminals, Copper Tube Pin Terminals, Bi-metallic Crimp Terminals, Bi-metallic Pin Terminals, Transformer Lugs and other specialist crimp terminals that can be made to order to suit your specific needs. They are all tested to IEC61238-1 and when crimped using the correct Elpress Crimp Tools will conform to all relevant international standards including the BS7609 and BS7727. The range also consists of Insulated Terminals, these terminals are LSOH, (Low Smoke Zero Halogen) Halogen Free type terminals which is an extra safety feature and ideal for use in railways, underground, mines, hospitals, buildings and anywhere where safety is paramount. The Easy Entry system for the terminals allows the cable to insert easily in to the Insulated Terminals and speed up installation. The Elpress Insulated Terminals have been used on the Dubai Metro project. The Dubai Metro project required products of high quality and the LSOH / Halogen free features of this project was imperative when plans and designs were being made for the Dubai Metro Project. The Pre-Insulated Terminals must be installed using the Elpress MINIFORCE™ range of crimp tools to ensure that they are crimped in accordance with BS7727 Standard. Our authorized Elpress service department maintains, repairs, checks, calibrates and certifies Elpress tools and power sources. After equipment has been overhauled by the service department a certificate is issued to verify the performance of the tool. 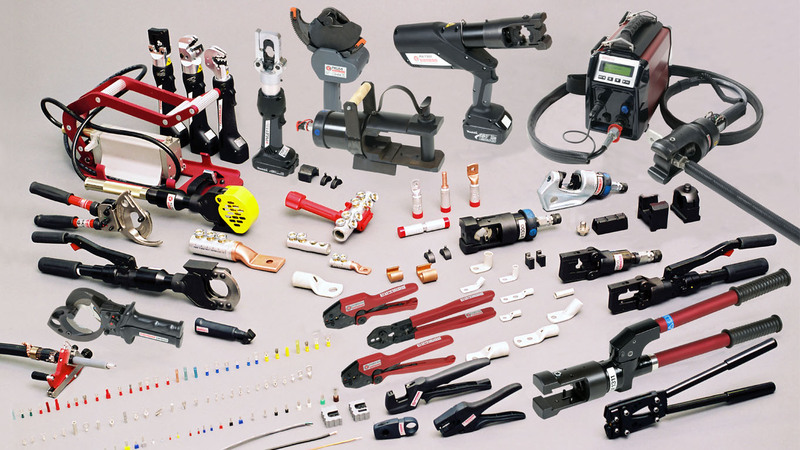 E-Tech can offer a full repair and calibration service for all mechanical and hydraulic crimp tools. Crimp tools are repaired and calibrated to the Manufacturers guidelines and in accordance with BS7609 and BS7727.